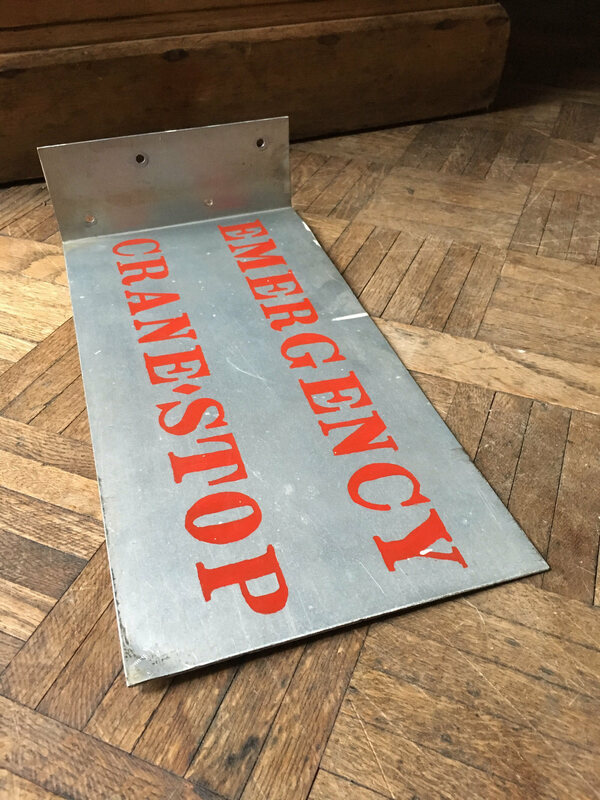 Flange sign, easy to hang. 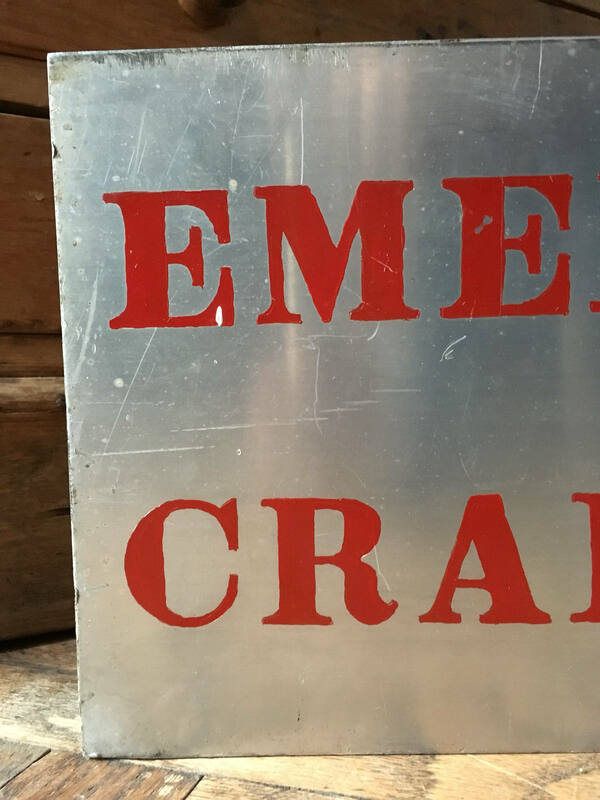 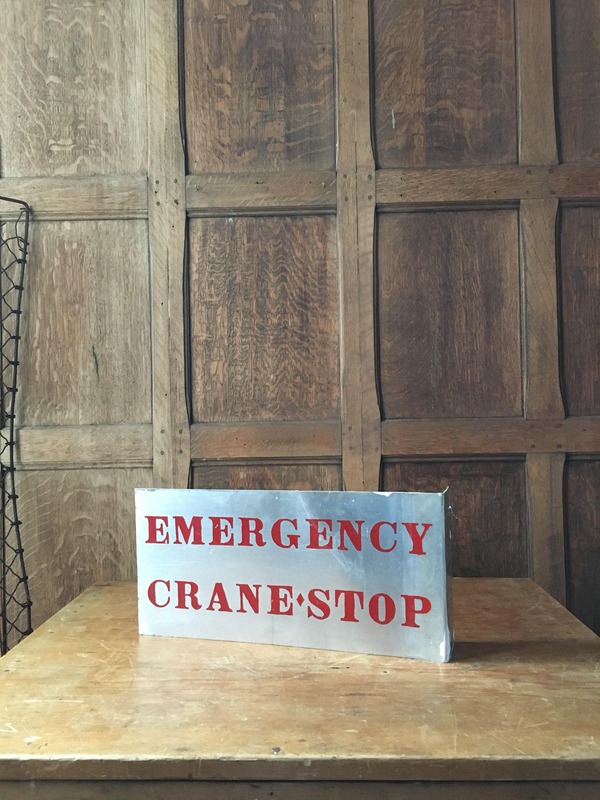 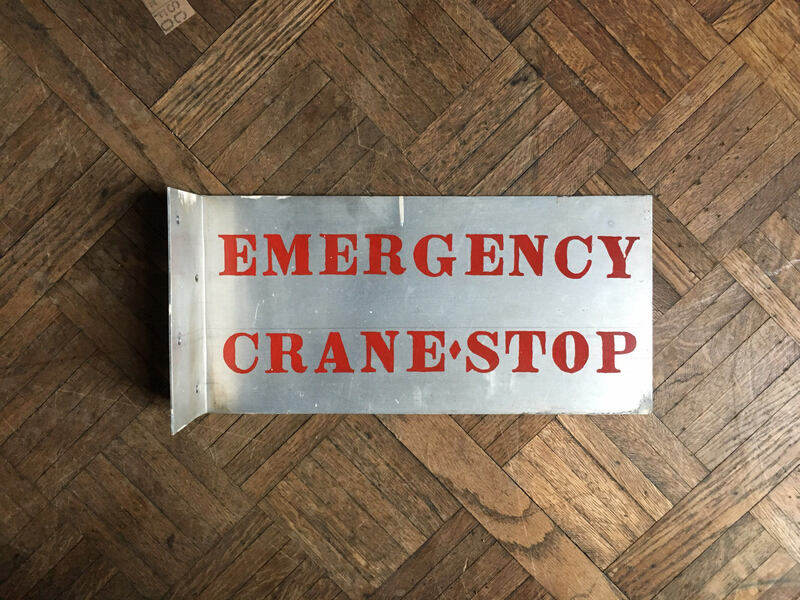 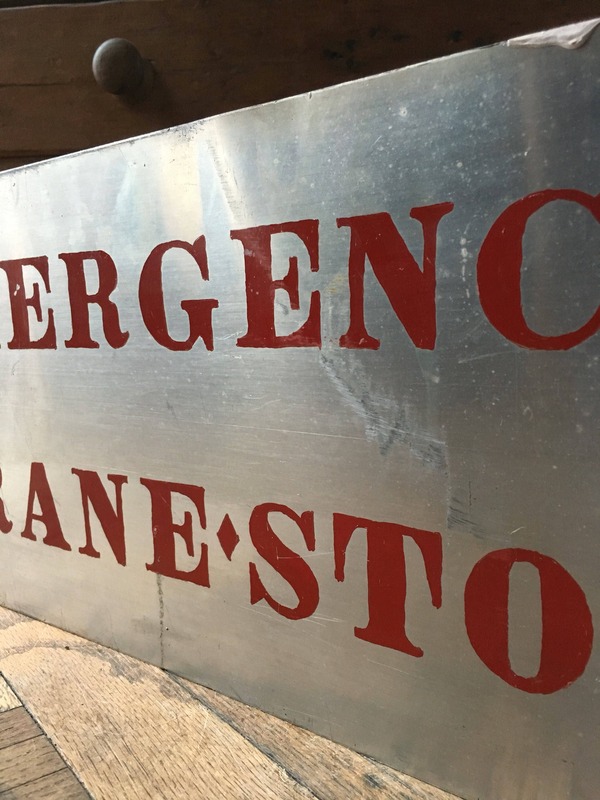 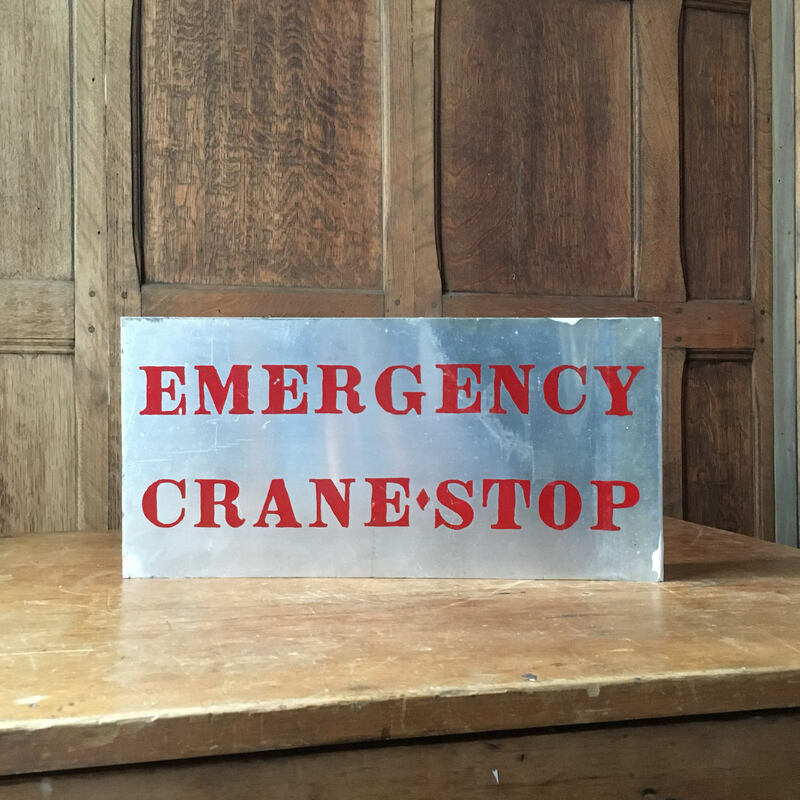 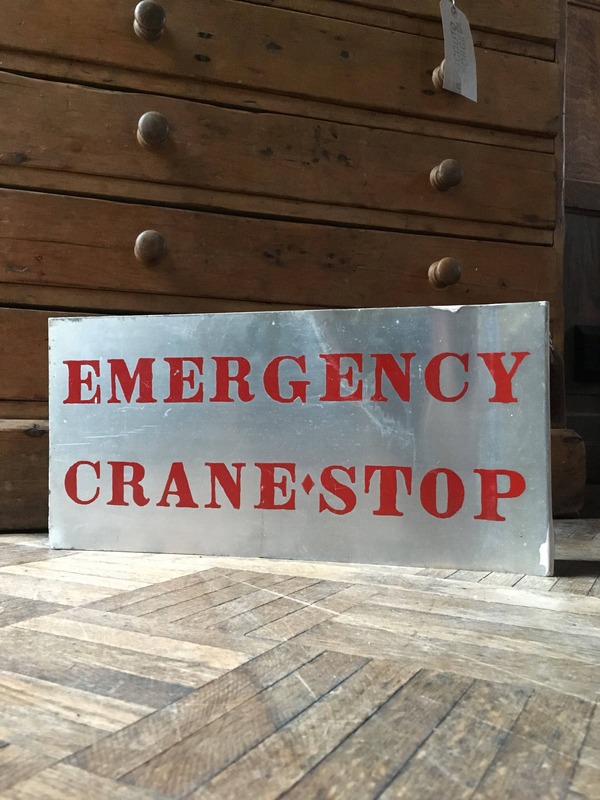 "Emergency Crane Stop" in red paint stencil letters. 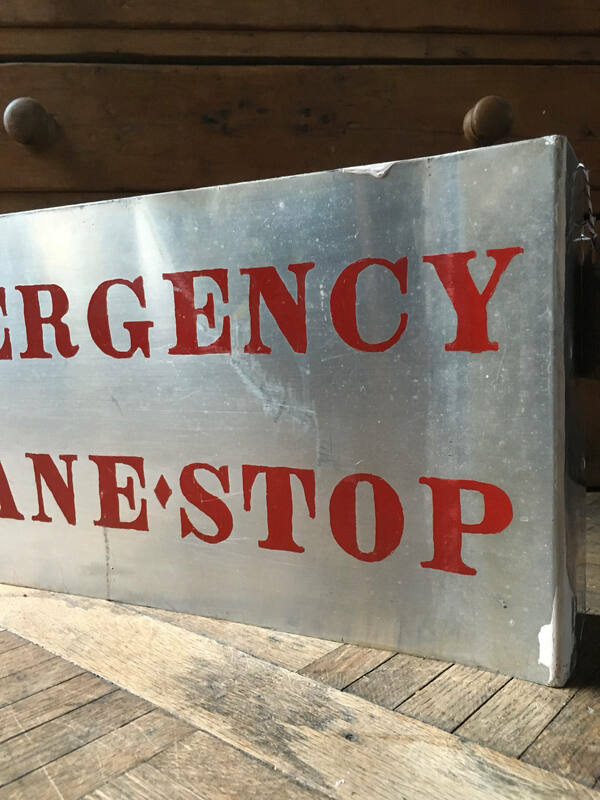 This sign was used for decades and shows some wear. 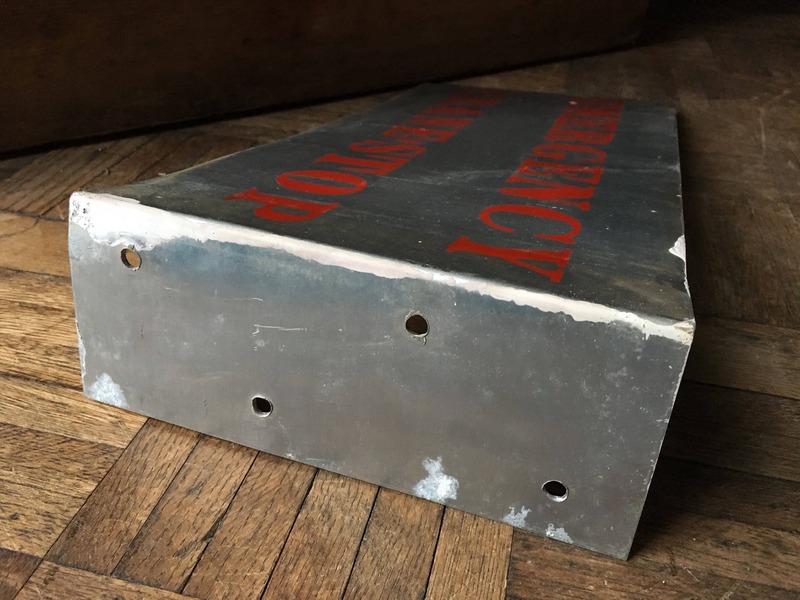 Scuffs, scratches, dings, dents, a little bent and crooked, paint splatter, etc. 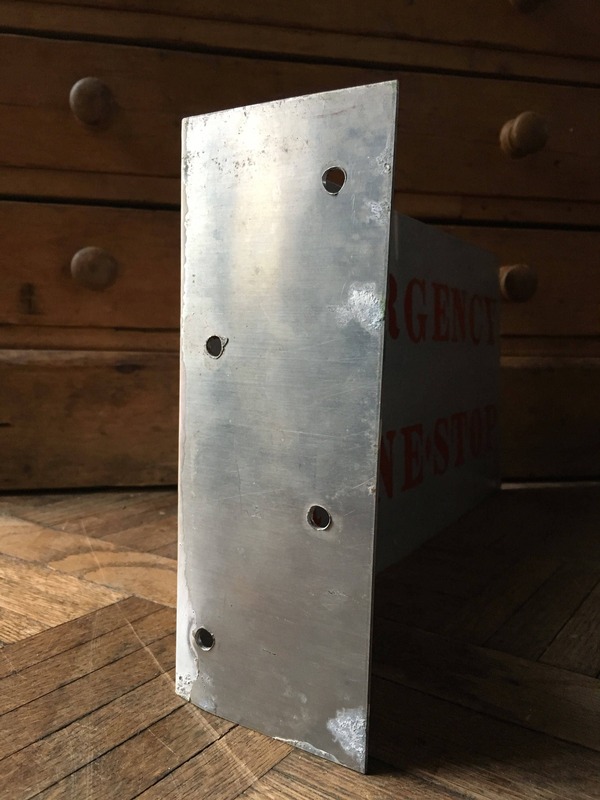 4 mounting holes for easy hanging.